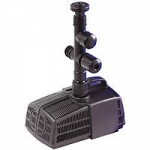 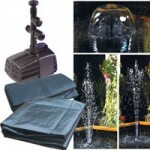 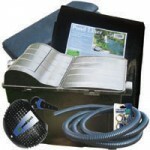 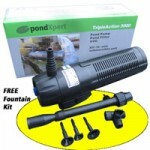 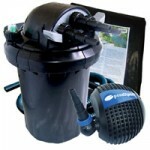 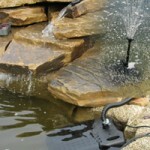 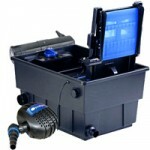 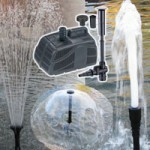 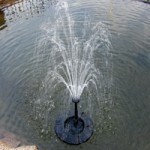 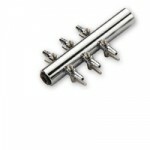 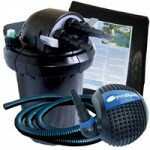 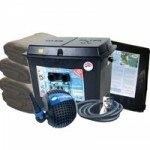 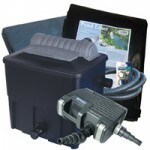 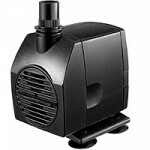 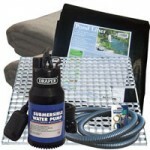 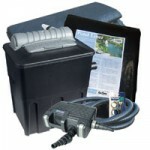 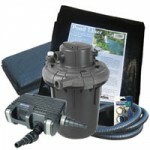 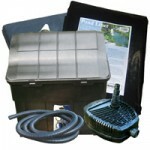 A larger starter kit with everything you need to run a waterfall and fountain. 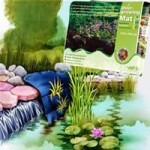 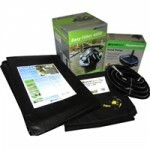 Contains everything you need to make a pond sized 2m x 2m x 0.5m deep (or approx. 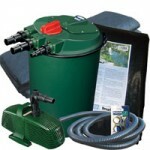 6 1/2 feet x 6 1/2 feet x 2 feet deep – 440 gallon). 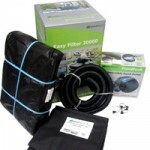 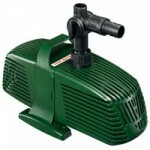 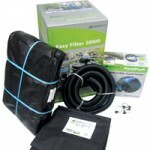 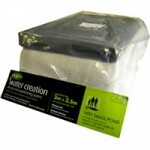 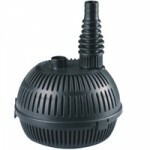 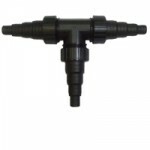 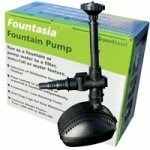 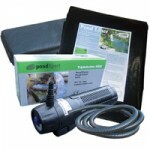 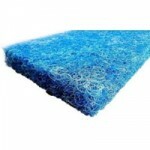 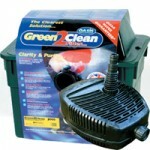 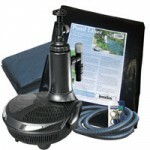 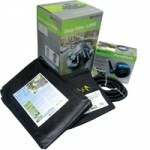 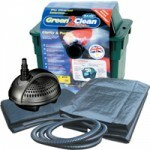 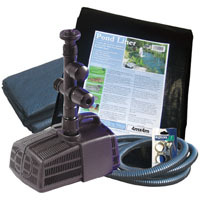 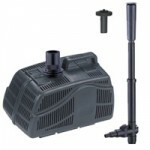 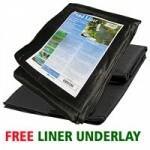 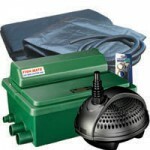 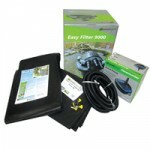 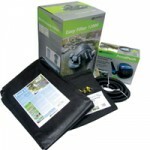 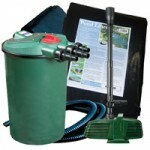 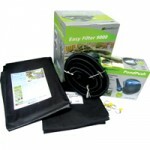 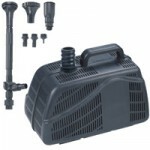 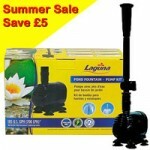 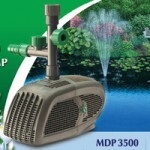 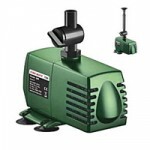 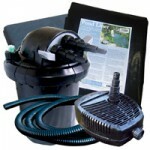 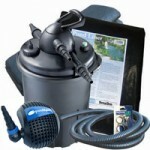 Includes our popular Hozelock 1500 fountain pump plus Flexiliner 40yr pond liner and underlay.